…Our Conservative Cartoonists Continue Their Caustic Commentary. The Blower believes we’re still living during the most important period in American History for our non-stop campaign against Political Correctness, the Devolution of American Culture. That’s because during the next 56 days until the most important Mid-Term Elections in History (since the 2018 Mid-terms are now a National Election –more than mere mid-terms– and a referendum on everything Trump has accomplished), while Congress, the Deep State, and the Leftist Media Establishment will continue to lie and say really stupid things without a smidgen of journalistic integrity in their effort to advance their Radical Leftist Agenda. Beloved Whistleblower Publisher Charles Foster Kane Says The Conservative Agenda Is Now Working On Donald Trump’s Fourth 100 Days To Make America Great Again. Today Was Day Number 599 And There Are Now Only 783 More Days Until Trump’s Re-Election Day on November 3, 2020. 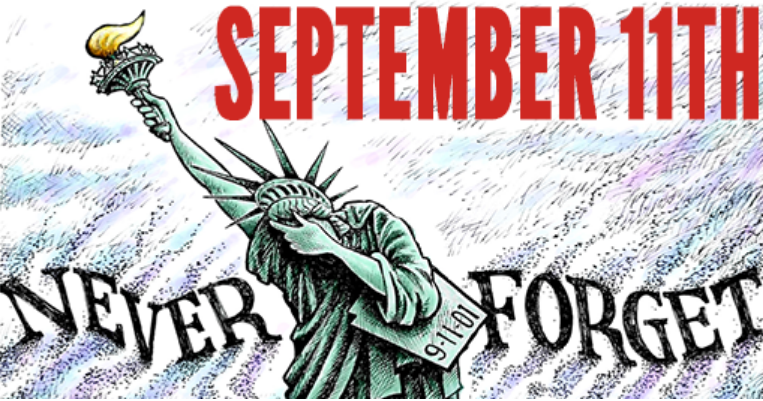 This entry was posted in Uncategorized and tagged “9/11 Rant”, 9/11 Anniversary, 9/11 ATTACK, 9/11 CARTOONS, Trump’s Speech Honoring Flight 93 Heroes on September 11, 2018 by charlesfosterkane.